All right, I admit it! Even though I am very keen on space and astronomy and all that, I have entertained thoughts like maybe it’s a waste of money to send men to the Moon. Even though I thoroughly enjoyed the Apollo programme, and I have a certain fondness for astrophysics. A witch can still be frugal and ask if it makes sense to spend quite so much money on this kind of science. It seems it does. And I’m so glad to know why. It seems the space industry doesn’t use up as much money as we believe. Also that the money spent on stuff to do with space returns to us here on Earth in the shape of lots of very important inventions and discoveries. Sheila Kanani has written this short book called Space on Earth, and it wasn’t until I read it that I realised why it’s called that. Science for space has turned out to be very useful for normal life on Earth, too. Just think, we wouldn’t be able to take selfies without an invention originally intended for space. The same goes for satnav and cordless drills. Obviously. Our speakers are a lot smaller nowadays, thanks to space. And let’s not forget solar panels. They are from space too. Space blankets for premature babies, and baby foods (for that long journey to Mars), cochlear implants and cancer detection, all come from space technology. And for more lighthearted science, we have sunglasses and the right clothes for skiing. Swimsuits for swimming faster, and cycle helmets. This is fascinating stuff, and it’s such a relief to know that space science hasn’t been just for the nerds among us. For each chapter Sheila also introduces the reader to the scientists who worked long and hard at finding the best solution to a problem. And I do like the illustrations by Del Thorpe. 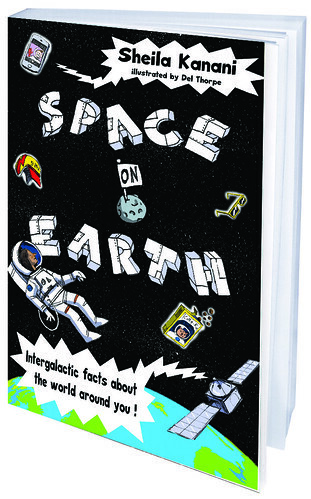 I want to believe that reading a book like this will tempt many more children to go into science, and especially girls. Sheila herself is an excellent role model. In fact, I’d like to think of her as a mentor. And to think I was childishly pleased to see the three deer from the tram near Edinburgh Airport on Friday morning. I should have realised. We had a pleasant couple of days in the German capital, Daughter and I. Well, there was the nightly serenading outside our window I suppose; first from the karaoke, and later the happy groups of people ‘just passing by.’ Like the group of English people singing [surprisingly well] at four am. The acoustics were great down there, between the tall buildings. Made the singing really stand out. I found myself lying in bed, wondering if that was what winning the war had been about. Making travelling to stag weekends in Berlin affordable, or enabling nightly singing in Berlin streets. And what effect will Brexit have on this wine, women and song stuff? After mentioning M M Kaye’s Death in Berlin on Friday, I decided to reread the book. I always thought it was her weakest romantic whodunnit, and that opinion still stands. It was interesting to read from the purely Berlin point of view, though. Saturday morning found us standing more or less where the heroine was, in the Soviet part of the park, watching that woman behave suspiciously with that man. The fictional characters. Not us. That was quite fun. We had drinking problems, too. As in how to get proper tea, with milk. After a highly unusual tea and cake session where we discovered – not surprisingly – that green tea with hot milk just doesn’t cut it, we tried to work out how to ask for black tea, as opposed to green, which is then to be made not black by the addition of milk, preferably cold. In German. On a Sunday, when you don’t get ‘any’ open shops, you still find plenty of shops open, selling alcohol, juice, fizzy drinks, chocolate, postcards, etc. Just not milk. But it is perfectly possible to drink that black tea black. Not as nice, but perfectly possible. A half marathon on the Sunday sent us to the zoo. When it looked like most of our potential routes anywhere would be blocked by runners, we walked the five minutes to the zoo and spent the morning looking at sad elephants and sad chimpanzees. And a panda. Also antelopes and the head of a polar bear. When it was time for your Witch to fly home again, by plane rather than broom, she discovered that the stags seemed to have survived the weekend and were ready to fly home with her, nicely lubricated. I recognised Dale, even without his t-shirt (=he was wearing something else), and the cute stag who actually had hair, unlike most of today’s young men, and who looked exactly as I have imagined Mary Hoffman’s Lucien, from City of Masks. But I’d rather have flown home without them. Does it make you proud? In my early teens I could manage quite passable volley ball serves. This may surprise you. As it still does me. I was bad at PE, at most sport, and had very poor ball game skills. But I was able to give that volley ball quite a whack and send it where it was useful. I couldn’t then play the game. At all. But if they were awake, my team mates should be able to make some sensible volley ball moves from those serves. No, that task befell the opposing team. After enough powerful serves from me, which were not in their best interests, they called out ‘well done!’ Meaning it the nice way, not sarcastically, or anything. And after all these years, when I think of these girls, it’s the way they behaved in PE that comes back to me. Although I am sure that my team mates grew up to be kind and pleasant people. Too. The reason for this ancient sports report is that history repeats itself. Some people who should have shown pride over and been pleased about something, at least to the degree that they could have uttered some polite, if not heartfelt, praise for someone being successful at something. But they didn’t. The people who showed pleasure were almost perfect strangers at the bus stop. They positively beamed with happiness on hearing the good news. It’s not my story to tell, which is why I’m being cryptic. But it’s more of a disgrace than my volley ball team forgetting their manners. Or their kindness. Erich und Lisa, and Paul and Matt, too. No, that’s not a new book. Travel gods willing, I’m off to Berlin today, so thought I’d ‘fob you off’ with some Berlin books. I’ve never been, so am writing this blind. I’ll be interested to discover how much of Erich Kästner’s city remains. Having watched all three Emil und die Detektive films, I should know. Only one was made before the war. If Emil was English, it’d be easy enough to film a boy in prewar London now. There are plenty of houses and buildings left. I hope quite a bit of Berlin is also still there. The other old Berlin I ‘know’ is Lisa Tetzner’s, where her child characters lived in tenements in the 1930s. Surely some remain? And I have no idea how large Berlin was in those days. I’m assuming the children in no. 67 lived quite centrally. You can find countless children’s books set in today’s London. There must be a Berlin counterpart. It’s ‘just’ that we don’t get to see those books. The more recently written novels that come to mind are British. There was Paul Dowswell’s Ausländer ten years ago. Orphan Monster Spy by Matt Killeen from last year. Both showing life within Germany. Both featuring WWII. There’s more to Germany and Berlin than that. 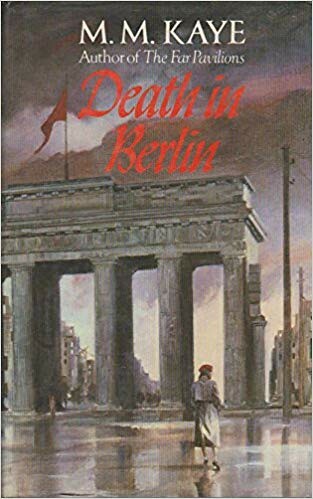 Death in Berlin, by M M Kaye, set in postwar Berlin. It’s decades since I read it, and I recall a sense of bleakness. Ich bin ein Berliner, as JFK said. Whether or not that makes us doughnuts I will leave unsaid. I’m certainly rounded enough. If you’ve ever worried about where in your family you fit in, then this book is for you. 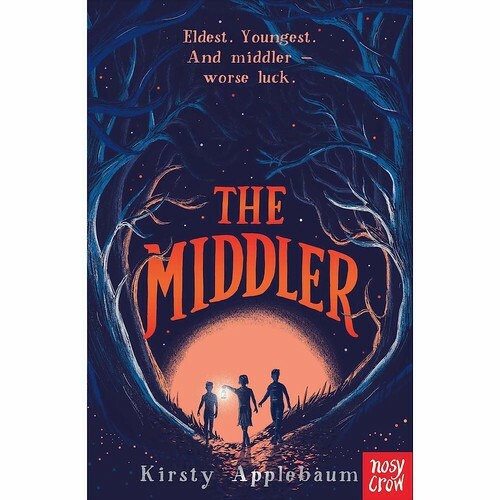 Kirsty Applebaum’s The Middler looks at a future society where it matters – very much – if you are a first child, in the middle or the youngest. It’s an honour to be the firstborn. Until you turn 14 you are treated best and don’t have to do chores when your younger siblings do. It breeds discord. Until the day comes when he is to go away, having turned 14 and he’s had his leaving party. His girlfriend, who’s also to leave the same week, tells Maggie the truth. They are going away to fight in the war for everyone else. It’s a sacrifice. And no one ever comes back. You must also look out for the wanderers who live outside their safe villages. You must never cross the boundary. Wanderers are dangerous people. And, well, Maggie meets someone like that. And she finds out something else as well. She needs to be both brave and to act quickly. But who will listen to a middler? This is a great story. It has many of the things we already know, but put together in a new order. Maggie has lots of good qualities. As has her younger brother Trig.